CASTING NOW! LA LOCALS ONLY! AGES 18-28! HAVE YOU RECENTLY BEEN DUMPED or GHOSTED, AND WANT CLOSURE? 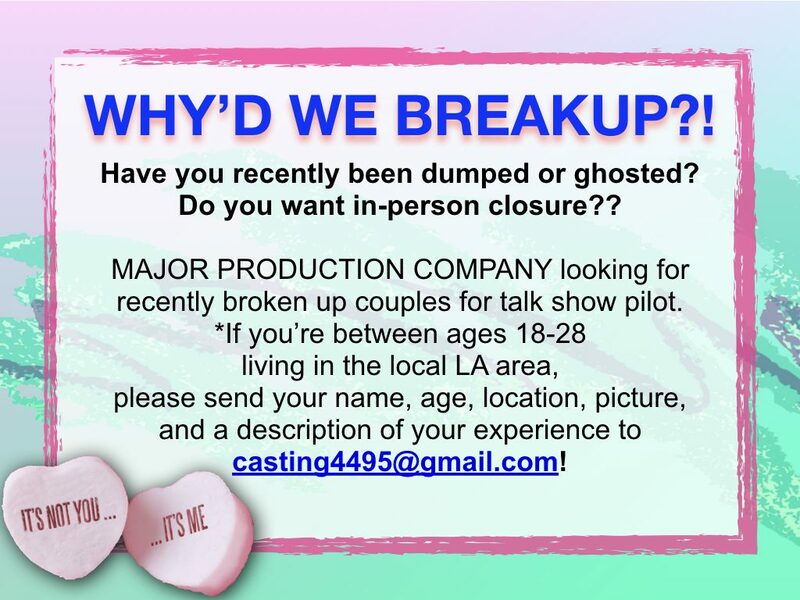 This casting notice was posted by: BREAKUP AND WANT CLOSURE?